The controversial historical figure that is Quentin Crisp is to be laid bare in a solo show that focuses on two important periods of his life. Quentin Crisp: Naked Hope, which will be performed in the intimate studio setting of the Lichfield Garrick theatre on January 19, has been written by Mark Farrelly, who also stars in the title role. Directed by Linda Marlowe, Quentin Crisp: Naked Hope debuted to rave reviews at the 2014 Edinburgh Festival and immediately transferred to a run at an off-West End theatre in London before touring the UK. Immortalised by stage, film and TV actor John Hurt in The Naked Civil Servant, Quentin Crisp went from a conventional Surrey upbringing to global notoriety. He became an extraordinary raconteur and wit and was regarded as one of the most memorable figures of the 20th century. Flamboyantly gay at a time when homosexuality was deemed something of an outrage, Quentin was frequently assaulted and beaten up but always stayed resolute to his true self. 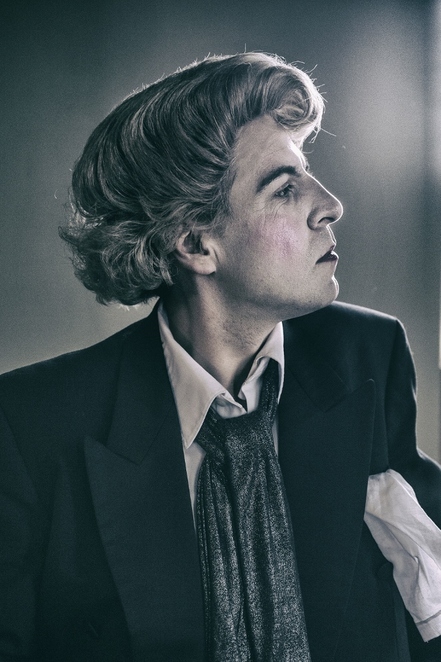 Quentin Crisp: Naked Hope depicts Quentin at two phases of his extraordinary life; alone in his Chelsea flat in the 1960s, and 30 years later, performing his legendary one-man show, An Evening With Quentin Crisp, in his adopted New York, with the new millennium beckoning. The one-man show draws on Quentin's own writing and performances in a new script by Mark Farrelly, who was born in Sheffield. Mark has acted in the West End and internationally and recently appeared at The Rialto in his other hit solo show, The Silence of Snow: The Life of Patrick Hamilton. His West End credits include Who's Afraid Of Virginia Woolf? opposite Matthew Kelly. He is directed by the renowned EastEnders actress Linda Marlowe, who has won awards for her own solo work such as Berkoff's Women. 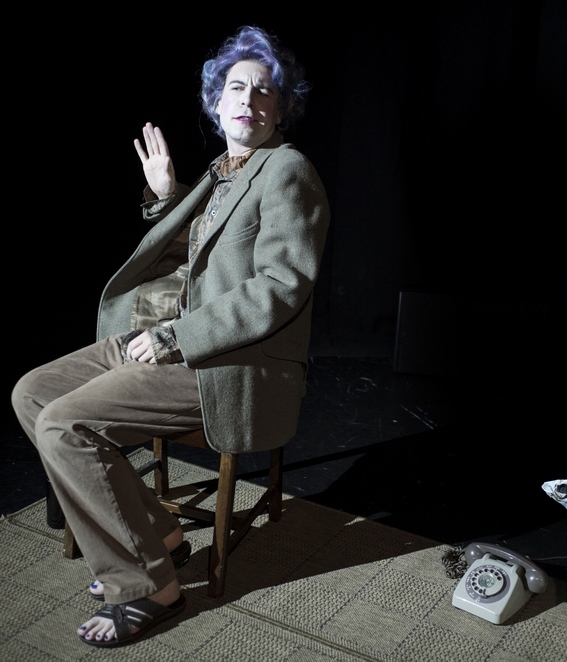 Quentin Crisp: Naked Hope is produced by Seabright Productions, which is led by James Seabright, who has been an independent theatre producer and general manager since 2001. Since then, James has produced and/or managed more than 250 shows with an emphasis on touring shows around the UK and internationally, as well as productions in various venues both on and off the West End. Between 2003 and 2014, James presented a large number of productions at the Edinburgh Festival Fringe under the Festival Highlights banner, winning a wide range of awards, including five Scotsman Fringe Firsts for productions directed by Hannah Eidinow. 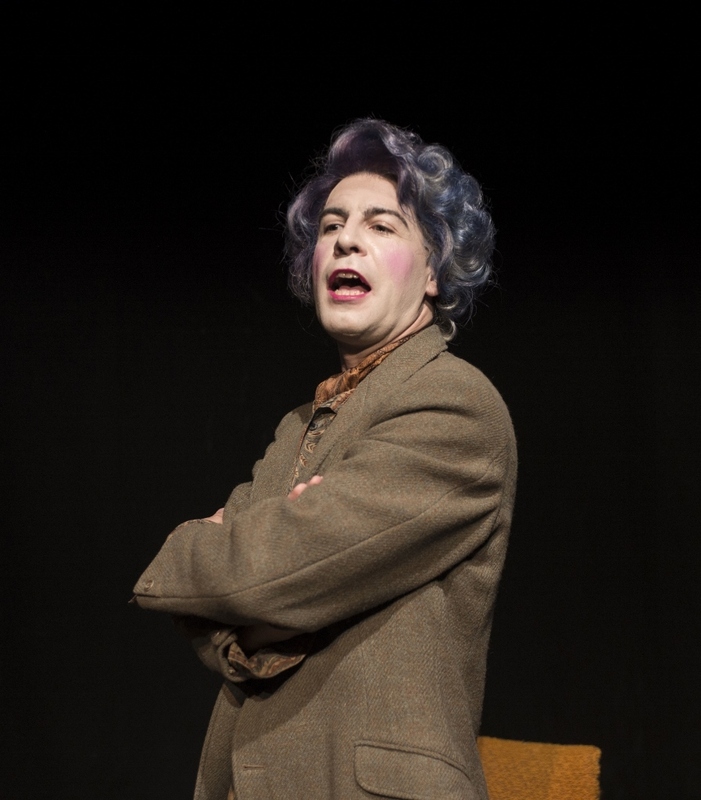 Quentin Crisp: Naked Hope can be seen at the Lichfield Garrck theatre on Friday 19 January at 7.45pm. Tickets priced £17.50 or £15 for students are available by visiting www.lichfieldgarrick.com or calling the Box Office on 01543 412121. The show forms part of the Lichfield Garrick's Introducing Theatre series.